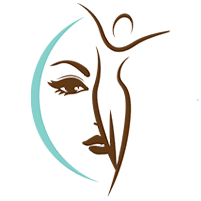 You’ve done the work and you’re at or near your ideal body weight, yet there are still problem areas that resist your body-contouring efforts. If you’re frustrated by a double chin that just won’t go away, it’s time to make an appointment with Total Wellness MediSpa in Prince George's County, Largo, Maryland. The Center has offered the SculpSure® body-sculpting system for shaping other parts of the body, and now it’s cleared for use on the submental area — under your chin. Call or click today. One drawback of many traditional body-sculpting techniques is that they’re surgical in nature. To get to the fat stores in the body, a surgeon needed to penetrate the skin to access adipose tissue, the cells that store fat in your body. Procedures such as liposuction carried some of the risks associated with surgery, and for those who were already close to their ideal body weight, these risks outweighed the benefits of the procedure. SculpSure offers a way to treat fat cells completely noninvasively: no incisions, no skin penetration, and no surgical side effects. For years, SculpSure has treated fat around the abdomen and flanks, and now it’s been cleared by the Food and Drug Administration to treat neck fat, meaning you have a simple option for the double chin that won’t go away. SculpSure is a cosmetic laser system optimized to treat adipose tissue. CynoSure®, its manufacturer, is a leading provider of cosmetic laser systems that treat a wide range of skin issues. SculpSure, however, penetrates a little deeper. The adipose tissue storing fat under your chin absorbs certain wavelengths of laser light. SculpSure uses a particular wavelength that’s easily absorbed by the fat layer but minimally absorbed by the skin. As this light hits adipose tissue, the energy converts to heat and starts to warm the fat cells. Warmed to about 10 degrees above your normal body conditions, these cells reach a coagulation point. That’s when the cells suffer sufficient damage that the body starts to safely remove them through the lymphatic system. About 12 weeks after the treatment, you’ll see the maximum chin-sculpting effect, but changes should be noticeable around 6 weeks. The SculpSure wand rests against your skin and feels cool. As the laser cycles, you’ll feel warmth and possibly a tingling sensation deeper, under the skin. Most people have no trouble at all with the sensation. A single session is 25 minutes, and that’s it. If there are any side effects at all, they are typically akin to mild sunburn, but since the laser has no ultraviolet light, any warming or redness passes quickly.